Ultimate Bootcamp is coming to Westborough in partnership with Krave Fitness. Westborough – Ultimate Bootcamp, Boston&apos;s largest outdoor fitness company, is launching its first Westborough location in partnership with Krave Fitness beginning July 7. Early morning classes, which run four days a week, are designed to help meet a variety of fitness goals from losing weight to gaining stamina, and are targeted towards beginner and intermediate exercisers. The 60-minute classes, each led by a certified trainer, begin at 5:30 a.m. Monday through Thursday and run in four-week sessions starting July 7. Participants can choose to attend two or four days per week. Participants are welcome to try their first class for $5 before committing to a four-week session. 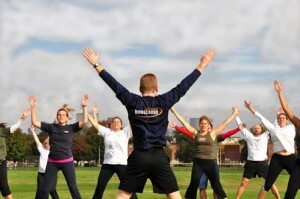 More information on the classes, pricing and schedule is available online at http://ultimatebootcamp.com/westboro.